Better understand and sort mileage for IFTA reporting. 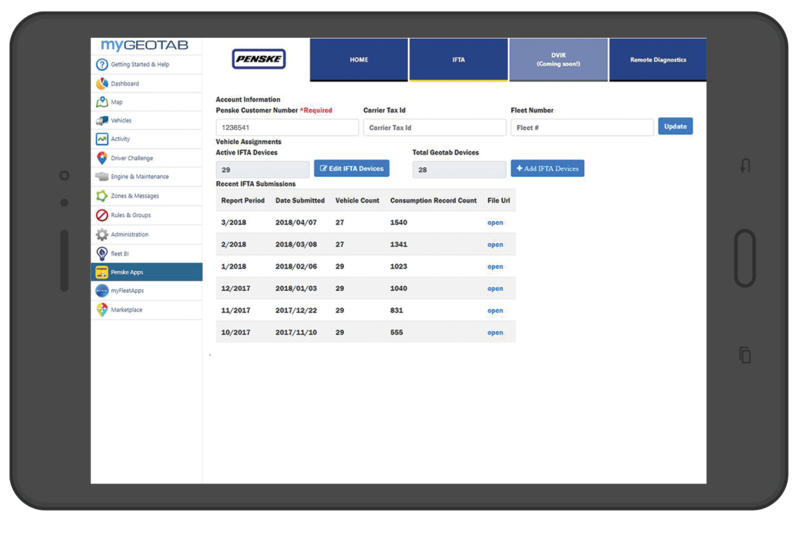 Through a collaboration with Penske, MyFleetApps has created an app designed to better understand and sort mileage information for IFTA reporting. The International Fuel Tax Agreement was created to simplify the reporting of fuel used by trucks operating in multiple states. Drivers can now hold one permit, and taxes are assessed by one governing body and distributed to each jurisdiction. Without a proper way to calculate miles and fuel, fleets risk wrongly reporting numbers or the possibility of overcharges. With MyFleetApp’s newest app, state mileage information is pushed straight to Penske for IFTA reporting, eliminating risks and simplifying the process of staying compliant. Soon, MyFleetApps will also be to push Vehicle Inspection “Defect” Data to Penske so that they can schedule vehicle servicing.